Sign up for their free e-newsletter. 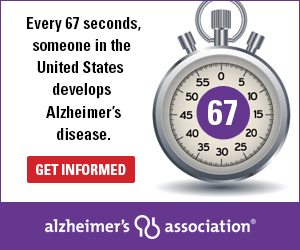 Stay up-to-date on the latest news and advances in Alzheimer's treatments, care and research. Get tips for living with Alzheimer's as well as simple ideas on how you can support the fight to end Alzheimer's.